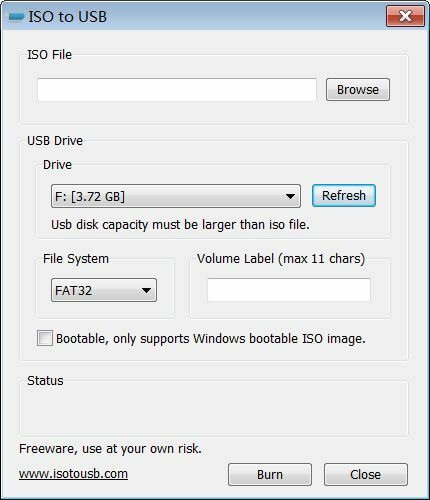 This is the main interface of ISO to USB, running on Windows 7 (64 bit) systems. Run this software, you need to have administrator privileges on your PC. The size is width:430 and height:500.